Popsicles are one of those summertime foods that make you feel like a kid again, even though when you make homemade pops with fresh fruit juice, yogurt and other quality ingredients your pops are a big cut above those you ate as a kid. My popsicle mold collection includes many pops that have a sort of traditional shape, shapes that you might see at the ice cream truck. 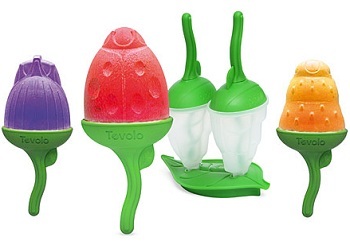 There are some pop molds that bring a little more fun to the popsicle making – and eating – experience, and these Tovolo Bug Ice Pop Molds are a great example of that. These popsicle molds are all shaped like bugs you might find out in the garden during the summer – a ladybug, a caterpillar and a beetle – and they’re definitely cute enough to eat.Â The set comes with six pop molds and a stand to hold them upright in the freezer while they set up. The bright green handles look a bit like the stems of plants, and will nicely set off brightly colored pops – as well as keeping your hands free from sticky drips with their drip guards. The whole set is made of BPA-free plastic and is dishwasher safe for easy cleanup. 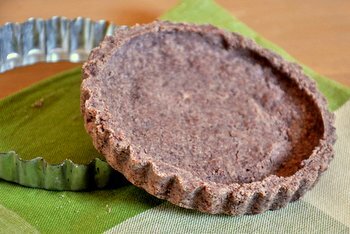 I would call first dibs on the ladybug pop if I were making a batch of these, and I would definitely opt for bright colors and flavors to highlight the look of the bugs. Ladybug would be strawberry or watermelon, while the caterpilar would be lime or even mojito-flavored (lime+mint+rum – grown up pop!) and I would pick dark colored blackberries for the beetle. 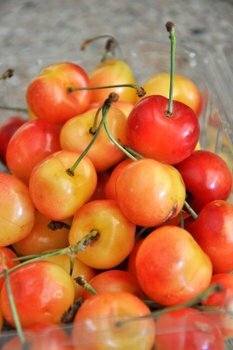 Next PostNext What are Rainier Cherries?